Thread Details Posted by NHRDA, this thread has received 0 replies and been viewed 2857 times. Over $40,000 in prize money will be up for grabs and title of World Champion. 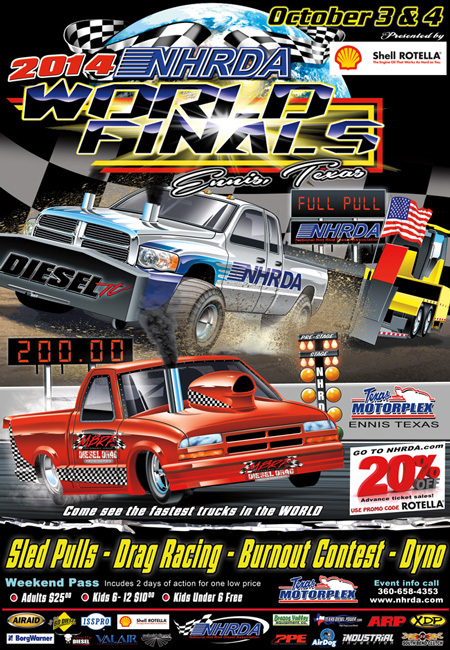 Come see the Fastest Diesel in the World , plus Truck & Tractor Pulls , Big Rig Show-N-Shine , Dyno contest and crowd favorite the BURNOUT Contest. All admission tickets are a Weekend pass good for both days!